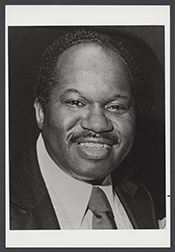 OWENS, Major Robert Odell, a Representative from New York; born in Collierville, Shelby County, Tenn., June 28, 1936; graduated from Hamilton High School, Memphis, Tenn.; B.A., Morehouse College, Atlanta, Ga., 1956; M.S., Atlanta University (now Clark Atlanta), Atlanta, Ga., 1957; chair, Brooklyn Congress of Racial Equality; vice president, Metropolitan Council of Housing, N.Y., 1964; community coordinator, Brooklyn Public Library, Brooklyn, N.Y., 1964-1966; executive director, Brownsville Community Council, 1966-1968; commissioner, Community Development Agency, New York, N.Y., 1968-1973; director, community media library program, Columbia University, New York, N.Y., 1973-1975; member of the New York state senate, 1974-1982; served on International Commission on Ways of Implementing Social Policy to Ensure Maximum Public Participation and Social Justice for Minorities at The Hague, Netherlands, 1972; elected as a Democrat to the Ninety-eighth Congress and to the eleven succeeding Congresses (January 3, 1983-January 3, 2007); not a candidate for reelection to the One Hundred Tenth Congress in 2006; died on October 21, 2013, in New York City, N.Y.
Major Robert Odell Owens in Black Americans in Congress, 1870-2007. Prepared under the direction of the Committee on House Administration by the Office of History & Preservation, U. S. House of Representatives. Washington: Government Printing Office, 2008.